Adil Katabay, MD is honored by the American Health Council as “America’s Best Doctor” for his outstanding contributions to the medical field. An attending interventionalist pain physician at BKC Pain Specialists in Dublin, Ohio, Dr. Katabay addresses and treats patients’ chronic pain. 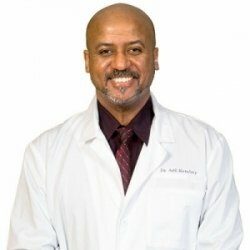 While he has held his current role for seven years, Dr. Katabay has spent 13 years in the healthcare industry garnering comprehensive skills and knowledge in pain management. Dr. Katabay’s desire to help others led him to pursue a career in the medical field. After experiencing pain himself, he decided to specifically pursue pain management, as he felt he would be able to emphasize with patients and effectively treat their ailments. He enrolled at the University of Wisconsin — Madison and earned a medical degree in 1997. He completed an anesthesiology residency at the University of Minnesota Medical Center in 2001 and a pain medicine fellowship at Beth Israel Deaconess Medical Center — a teaching hospital of Harvard Medical School — in 2002. Dr. Katabay is affiliated with Marion General Hospital and speaks both French and Arabic. He received his CMS Stage 1 HER certification in 2013 and was commemorated as a “Compassionate Doctor” and named on Strathmore’s Who’s Who in 2014. To continue to expand his knowledge and share his expertise with his peers, Dr. Katabay is an active member of the American Medical Association and the American Society of Interventional Pain Physicians. In his free time, he enjoys maintaining an active lifestyle by playing soccer and traveling. Additionally, Dr. Katabay serves as vice chairman of the Noor Islamic Cultural Center, which serves the Muslim and non-Muslim community in the greater Columbus area through promotion of goodwill, tolerance, unity and understanding, according to the center’s official website. Dr. Katabay attributes his success to his perseverance and willingness to help others. He plans to continue his success by expanding his practice in the future, but most importantly, by continuing to help as many people as he can. Dr. Katabay is affiliated with Marion General Hospital and speaks both French and Arabic. He received his CMS Stage 1 HER certification in 2013 and was commemorated as a “Compassionate Doctor” and named on Strathmore’s Who’s Who in 2014. Dr. Katabay serves as vice chairman of the Noor Islamic Cultural Center, which serves the Muslim and non-Muslim community in the greater Columbus area through promotion of goodwill, tolerance, unity and understanding.